"We are very proud to collaborate with 2K Sports by introducing our teams and players into the best basketball videogame in the world," stated Mr. Jordi Bertomeu, Euroleague Basketball President and CEO. "With this partnership, we’re able to bring fans one step closer to the action by ushering the Euroleague into the global gaming community." As far as Special Editions go, 2K Sports is pulling no punches with NBA 2K13 and is bringing the game to your hands in a more physical way than ever before. 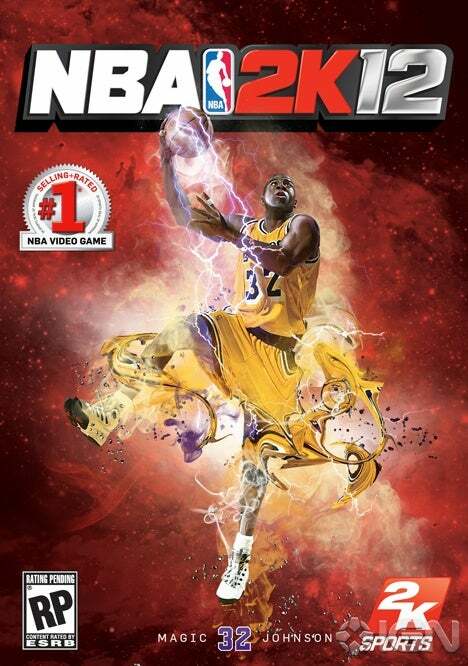 The ‘NBA 2K13 Dynasty Edition‘, releasing Oct. 2 for $99.99, will feature a copy of the game and some awesome basketball related goodies and, wait for it, a full-sized Spalding basketball, time to get your LeBron James on people! The Spalding basketball included isn’t you regular traditional orange orb of greatness, instead it has a more artful approach, with limbs covering most of the ball and the game title plastered on the front, so you will stand out among your basketball buddies. To go along with the basketball, the Dynasty edition also promises DLC in the form of “All-Star add-on content presented by Sprite,” 2K Sports Skullcandy earbuds , and an “NBA 2K13″ skin to cover your PS3 or Xbox controller with. Jason Argent, vice president of marketing for 2K Sports talked about giving something meaningful to the fans that they can really enjoy, he said, “With this special edition package, we want to give something meaningful to our great fans. 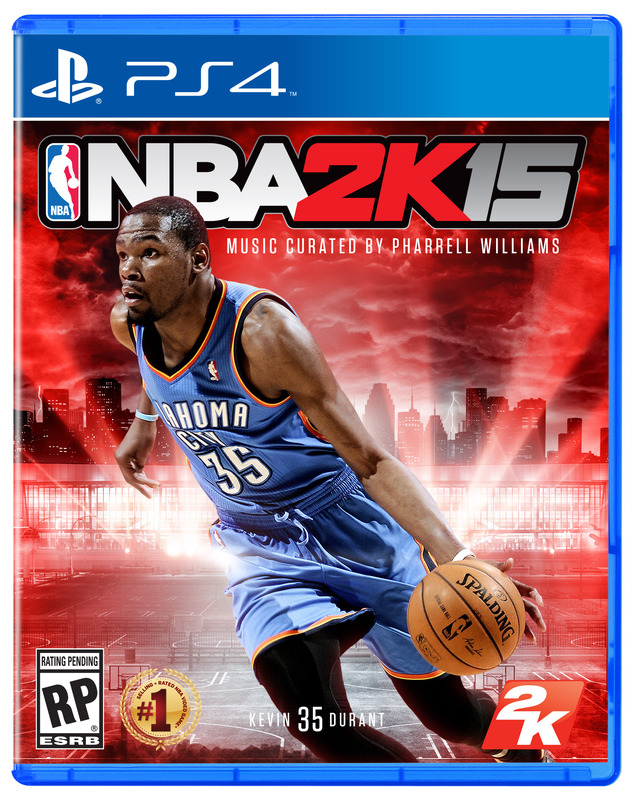 This is an awesome deal that is sure to please fans, and will become a must-have item while supplies last.” Previous installment NBA 2K12, sold-in over 5 million units worldwide and won more than 25 Sports Game of the Year awards, so we can expect NBA 2K13 to be an all rounded experience(no pun intended). The “NBA 2K13 Dynasty Edition” will be exclusive to PlayStation 3 and Xbox 360 and can be pre-ordered on the NBA 2K13 Facebook Page. 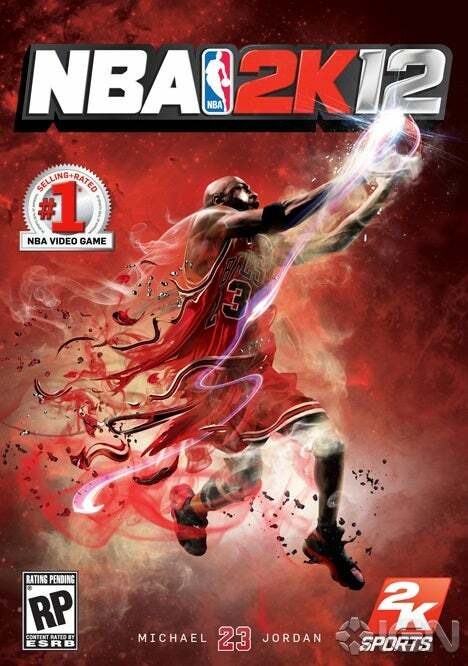 NBA 2K13 is available in North America on October 2 and October 5 internationally. Let us know in the comments if you’re picking this bad boy up. 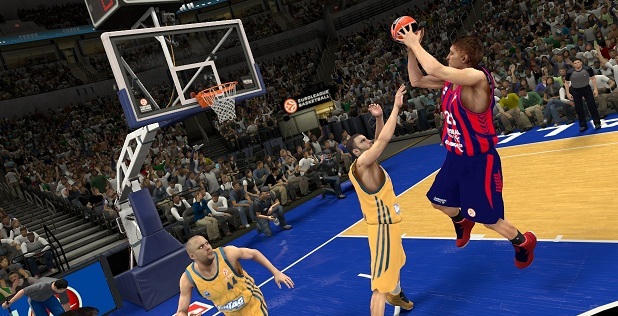 If you pre-order NBA 2K13 for PlayStation 3 or Xbox 360 through Amazon, you will receive access to NBA All Star Game content, including the Sprite Slam Dunk Contest, Three Point Contest, Rising Stars Challenge Game, and the NBA All Star Game. NEW YORK--(BUSINESS WIRE)--May. 30, 2012-- 2K Sports today announced that NBA® 2K13, the next installment of the top-rated NBA video game simulation franchise* for twelve straight years and the follow-up to the award-winning NBA 2K12, will be available on Tuesday, October 2, 2012 in North America and October 5, 2012 internationally for the Xbox 360® video game and entertainment system from Microsoft, PlayStation®3 computer entertainment system, PSP® (PlayStation®Portable) system, Wii™ system and Windows PC. 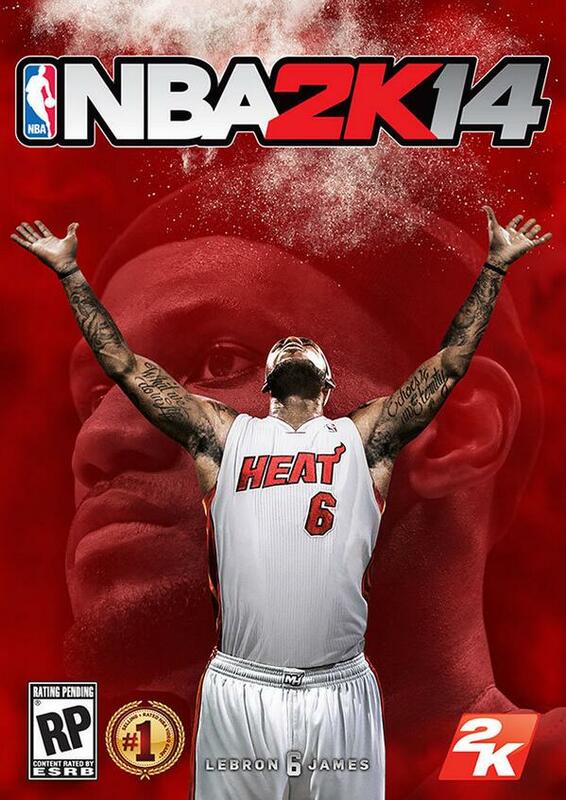 A Wii U™ version of NBA® 2K13 will be available in the launch window, at a later date. 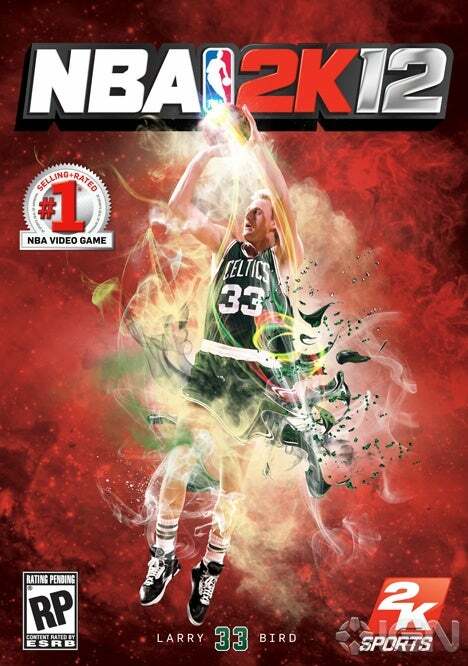 Fans that pre-order NBA 2K13 for the Xbox 360 or PlayStation 3 will receive a new downloadable NBA All-Star content package presented by Sprite. This add-on content will be set in Houston, the site of the 2013 NBA All-Star Game and will allow fans to stage their own NBA All-Star Game, including three NBA All-Star events - the Foot Locker Three Point Shootout, BBVA Rising Stars Challenge, and the Sprite Slam Dunk Contest featuring all-new intuitive, pick-up-and-play controls. Gamers can pit the NBA’s current superstars against classic players in both the Foot Locker Three Point Shootout and Sprite Slam Dunk Contest. Rosters for both the BBVA Rising Stars Challenge and 2013 NBA All-Star Game will feature the 2012 All-Stars, with dynamic updates to the 2013 rosters once the participants are announced. Developed by Visual Concepts, a 2K Sports studio, NBA 2K13 is not yet rated by the ESRB and will be available on October 2, 2012 in North America and October 5, 2012 internationally. The Wii U version of the title will be available during the holiday season. Fans are encouraged to pre-order now at participating retailers in order to receive the NBA All-Star content on day one at no extra cost. The covers are done by artist Adam Larson, a name you may not recognize, but someone whose work is all over on everything from alcohol ad campaigns, to ESPN magazine, to Beyonce's latest album cover. The Johnson and Bird covers are limited edition, and will only be available for the first printing of NBA 2K12. What do you wanna see in the new game? Edited by Game, May 08, 2017 - 12:31 PM. They do need to upgrade my player. Like I had myself as a 6' 3'' All-Around PG, and I'd get a steal and blow wide open layups because my "layup" attribute was at like a 46 or something. There's also gotta be some way for a more rapid development, and more realistic. My friend made himself a 5' 11'' 3pt specialist PG, he's rated 48 overall but averaging like 40ppg on great %'s somehow. Be able to add more players to trades and such. 4 is usually plenty, but why not make it 5 or 6. Somehow control contract situations too, in Association mode, by year 3 or 4 every team is $25 mil over the cap. Every single young player is getting $9-11 million contracts when they are still only high 60's- low 70's in value. Trading has gotten a little more realistic, I like how the other teams can counter offer now, but it needs to have a little more negotiability. I hate when I make an offer, they counter offer, I counter offer, they go back to the initial counter offer, I reject that and they offer the same counter offer again. Maybe in trades be able to give your players level of tradeability, such as Kobe under no circumstances will get traded, Pau is nearly untradeable, Odom/Bynum/Artest are tradeable under right circumstances, etc. If they made a "tradeability" slider for each player so when teams offer you trades they could be more catered to what you are looking for. Speaking of which, the "trade finder" is cool, but that should also be able to modify what you're looking for. So say I want to trade Lamar Odom. It will find trades for me, but say I want a PG for him, I should be able to look for that. Yea contracts needs a major overhaul, they make it so every young player with some potential wants the max deal he can get n there is no room to work on the deal usually. Also, we should be able to do contract extensions during the season on players eligible. Your friends myplayer probably has his consistency & 3pt shooting maxed out n left both awareness low. Make the arenas more realistic. Such as when a laker player hits a 3 you get that bell sound effect. Ability to add custom music. Make the players more realistic. If Rose wins MVP they'll go after him, the problem with puttin MJ in a cover is that you can't go higher, leaving yourself a problem for next year (this year). Kobe had it, they won't get him again till he retires or wins his 7th. Edited by fedefox, March 28, 2011 - 01:10 PM. Like you guys have said, MyPlayer and Association modes can still improve. Firstly, players roles need some work: in my game LeBron and LO asked to be traded right after the season started and sometimes stars get angry playing few or no minutes at all because they are injured. Secondly, MyPlayer gets too easy after you max out a few abilities. Thirdly, trades and contracts are too limited. It would be much better if more teams could get involved. Plus, contracts exts should be available all season long, not during the last year only. Last thing: details like custom sound track, music in arenas and players' reactions. For instance, after RonRon scores or dunks he shows off his muscles or Pau yells. Edited by Kobe-Wan Kenobi, March 28, 2011 - 01:37 PM. Some arena's have the sound effects for certain situations but agree'd they need more. You actually can have custom music, i do it for arena music, i have custom tipoff, during time outs, crowd chants, halftime & player of the game music. Even have custom music for players individually. Have respectable players (ie. Kobe, Fish, Melo, Wade, DHoward) talk to the ref after a foul and see if they can get refs to understand their POV. AND FIX THE WACK A.I. Edited by TheLakersHighlights, March 28, 2011 - 02:09 PM. Seriously? Is it a option in features? Because on consoles it just uses your playlists. I'm gonna wish for the same thing I've been wanting for years: A mode where you create your own franchise. I want to be able to create an expansion team and be able to customize every aspect of the logo, jerseys, stadium, city, team name, ticket prices, sponsors, renovations, media, etc. Basically, you can be the owner of your own team and control pretty much everything AND play the games just like in regular Association mode. If this happens, I also want there to be a bunch of major city names and common team names in the database so that the announcers will actually be able to say your team name instead of just saying, "the home team."